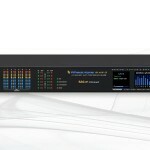 Four announcers, one rack unit and four mic processors that are accessible from anywhere in your WheatNet-IP network. That pretty much sums it up for the M4-IP3 BLADE-3, a four-channel DSP-based voice processor with four completely independent channels of high quality voice processing. NOTE: This is the new M4-IP-3 built as a BLADE-3. An original BLADE version of the M4-IP is still available. You can find the original version by clicking here. 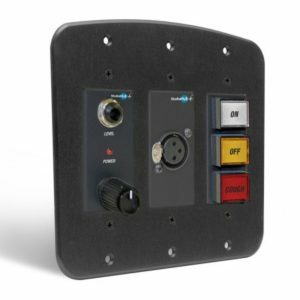 The M4-IP3 BLADE-3 combines four high-quality microphone preamps, four channels of Vorsis embedded microphone processing, and a WheatNet-IP BLADE interface, allowing you to place four microphone inputs anywhere in your WheatNet-IP Intelligent Network (although it also works just fine as a standalone processor). 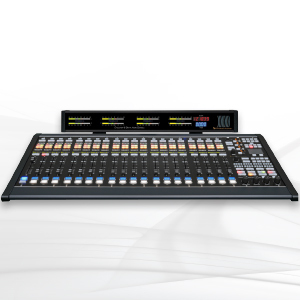 The preamps and processors are accessed and controlled from any point on the network via its Windows-based GUI. 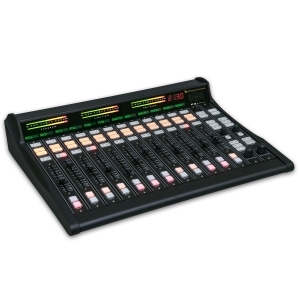 The M4-IP3 is a great way to maximize your investment in on-air talent by combining four mic processors into a single rack space, accessible from anywhere. 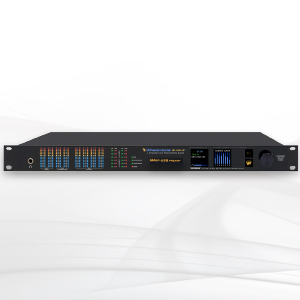 The M4-IP3 microphone processor is equipped with four matched Super-Quiet (SQ) microphone preamplifiers featuring extremely low noise floor, very wide dynamic range, faithfully accurate transient response, and ruler flat frequency response. Operating in harmony with high quality 24-bit A/D converters and a 96kHz base sample rate, the M4-IP3 adds absolutely no undesired coloration to the signal and faithfully preserves the sound of any microphone and talent combination. It also features a four-section equalizer with high and low shelving EQ and two bands of fully parametric EQ, high and low pass filters, and de-esser and expander functions. The M-4IP3 also features four analog stereo line-level outputs, ideal for feeding headphone amplifiers associated with talent or studio monitoring systems, and four stereo AES digital outputs. The signal path of the M4-IP3 includes four completely independent channels of Wheatstone’s smooth-sounding Vorsis dynamics processing. 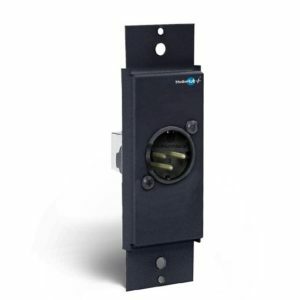 Adjustable from anywhere on your network the M4-IP offers the security of password protected TCP/IP-based remote control and no front panel controls. 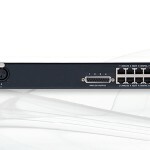 Like all WheatNet-IP BLADE-3s, the M4-IP3 BLADE-3 is AES67 compatible. 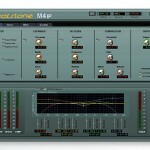 Based on great-sounding designs built for Wheatstone’s high performance professional audio applications, the M4-IP’s equalization section operates predictably and adds no noise, ringing, phasiness or other undesirable coloration to the sound. A high performance and fully adjustable downward expander, de-esser, and smooth sounding broadband compressor and selectable low distortion final Lookahead limiter round out the M4-IP to create powerful and authoritative presence to production or on-air microphones. The Wheatstone Talent Control Interface software can reside on an air studio/control room PC and gives talent the ability to recall presets from any Vorsis microphone processor without allowing processing adjustments. All parameters of the M4-IP3 are controlled using the included Windows-based GUI. Voice talent can activate his or her own personal sound at the press of a button using the Talent Control Interface, a special GUI designed for preset recall only.